Do you love Tilda as much as we do? 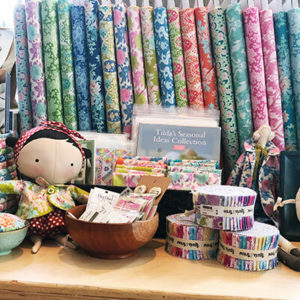 This fabric collection of beautiful prints and patterns have us wanting to make all the Tilda things. During this class series we will start by sewing a Tilda doll, a perfect holiday gift for yourself or for a little someone, and then we will sew her a wardrobe and accessories.